Moisturising Aloe Vera formula quickly and effectively removes all traces of nail lacquer without dissolving artificial nails. Luxurious formula will remove even the most stubborn of colours. Acetone free, it is ideal for use on artificial nails as it won't dissolve them, plus it is enriched with Aloe Vera to hydrate nails as you clean them. For optimum removal of OPI Nail Lacquer use a small amount with Expert Touch Nail Wipes. 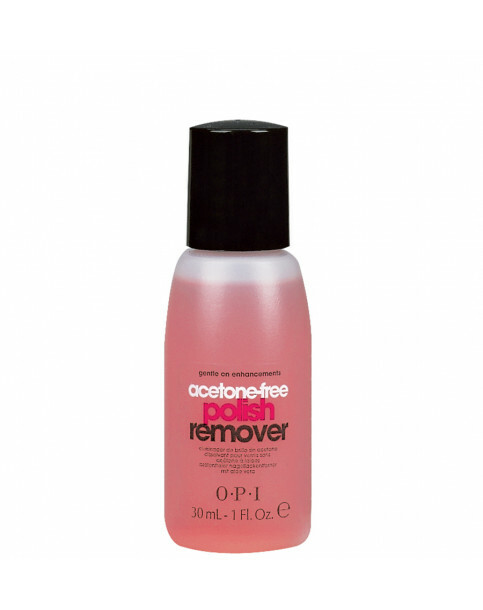 Acetone Free Polish Remover - 30ml is rated 5.0 out of 5 by 2. Rated 5 out of 5 by Nailaddict from Great travel size This is the best nail polish remover I've ever used. Good if you travel and need to change or remove your nail colour on the go or home manicure. Rated 5 out of 5 by Sungas from Easy and Quick! This product although significantly more expensive than other brands is, in my opinion, absolutely worth it!